A Civil Society Organisation (CSO), “67 Million Initiative’’ has rated Ebonyi, Akwa Ibom and Enugu as top states with the highest youths participation in politics. One of the Conveners of the group, Mr. Luqman Edu disclosed this at a news conference in Abuja on Friday. Edu said that the rating was done among youths between the ages of 18 and 45 years. He noted that the data was collated by members of the group in the various states to reveal the rate of youths participation in their states under its “Rate Your State Initiative”. The convener said the report would be published regularly to show the performance of the Federal Government and states regarding youths in elected positions. According to him, the aim is to promote youth participation in politics. “Ebonyi has the highest with 36 percent youths participation, followed by Akwa Ibom and Enugu with 34 percent each, Bauchi came fourth with 32 percent. “Imo and Niger states had 29 percent each, Nasarawa 26 percent, while Katsina, Kogi and Zamfara had 25 each and Kaduna 24. “Meanwhile, Yobe and Kwara states recorded the least youths participation with 5.67 percent, followed by Ogun with 7.67 percent, Osun, Jigawa, and Bayelsa had barely 9.67 percent. Edu said that the data revealed the low participation of youths in politics, a narrative the group was working to change. Another Convener, Mr. Mark Okoye, the Commissioner for Budget and Planning in Anambra, said that the “67 Million Initiative’’ was a coalition of Nigerians with the mandate to galvanize active youth to participate in politics and to support youth-friendly policies. Okoye said that the aim of the group was to also create a voice for the 67 million youths, irrespective of religion, political party, tribe or gender. He said that the aim was to build and leverage on the bloc vote of youths for their interest to get many young people appointed into various positions in the states. Mr. Muhammed Abdulahi, Commissioner, Ministry of Budget and Planning, Kaduna State said that the group would begin its work at the grassroots. Abdullahi said that for the 2019 elections, the group would support the emergence of young candidates across all political platforms at the state and National Assembly levels. He said that with this initiative, states would be closely monitored to know the level of youths in elected offices while mentoring them to vie for elective positions. 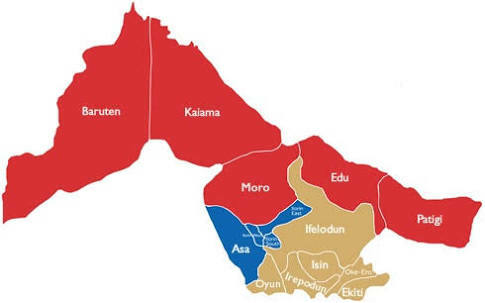 Mr. Asuquo Ekpenyong, another convener and Commissioner for Finance in Cross River, said the group believed in grassroots politics so it would support youths vying for positions at the grassroots. Ekpenyong said that the group also believed in youths growing in politics, so the focus, for now, was not on the presidential race but the state Houses of Assembly and the National Assembly. He said that way, youths would learn the tenets of running for elective offices up the ladder.